A FIRST LOOK at the life of Ralph Sheldon, whose days were dogged by religious persecution and by greedy and envious contemporaries who sought to take advantage of his various brushes with authority by stealing away his wealth, his home and his reputation, eventually forcing him to seek refuge beyond the shores of his native land. 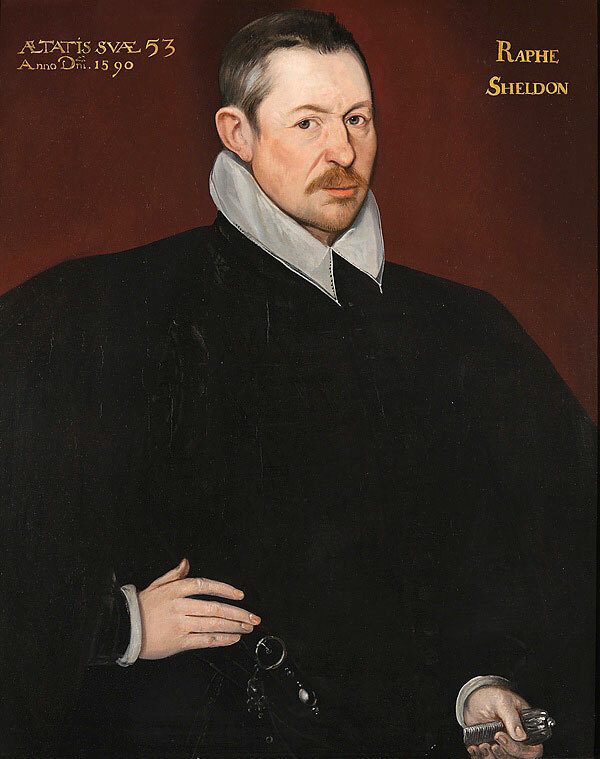 Ralph Sheldon, as painted by the Flemish/Dutch artist, Hieronimo Custodis, in 1590. THE FORTUNES of the hugely wealthy Sheldon family during the 16th and 17th centuries waxed and waned according to which of the opposing sides of the great religious divide, protestant and catholic, held sway at the time. After William (1500-1575) died, his elder son Ralph took control of the vast fortune his father had built. But his life was blighted by the massive changes taking place as Britain slowly but surely turned its back on catholicism to wholeheartedly embrace the new religion. Little is known of Ralph’s early years, other than that it was almost certainly hectic. He was born around 1537 – soon after Anne Boleyn had been beheaded and Thomas Cromwell had set in motion the dissolution of the monasteries. By the time Ralph reached his majority Henry VIII had died, his successor, Edward IV, had died of tuberculosis and Queen Mary was in the last months of her bloody reign. During his teenage years Ralph briefly lived and served at Mary’s court, before he went off to study at Oxford. Later he was sent by his father on a tour of the Continent to learn all he could of the tapestry skills employed by weavers in France and the Low Countries – whose work was of much higher quality than anything produced in England at the time. Ralph also found time to complete a legal education, culminating in his admission to the bar at Middle Temple in November 1556. He was just 20 when he married Anne, fourth daughter of Sir Robert Throckmorton from nearby Coughton Court, six miles south of Beoley. Within a few years of their marriage his father, William, moved to Skilts, giving Ralph and his new bride free rein at Beoley. Ralph enjoyed all the privileges of a wealthy country gentlemen, and was still a relatively young man when he served as one of the Worcestershire Members of Parliament between 1562 and 1567. Later, in 1576, he was appointed High Sheriff of the county. Ralph was also a great patron of the arts. He twice had his portrait painted, firstly by Flemish artist Stephen van der Meulen in 1565 and later by the Flemish/Dutch artist, Hieronimo Custodis, in 1590. It seems likely he was familiar with their style of work from his tapestry travels in the Low Countries. 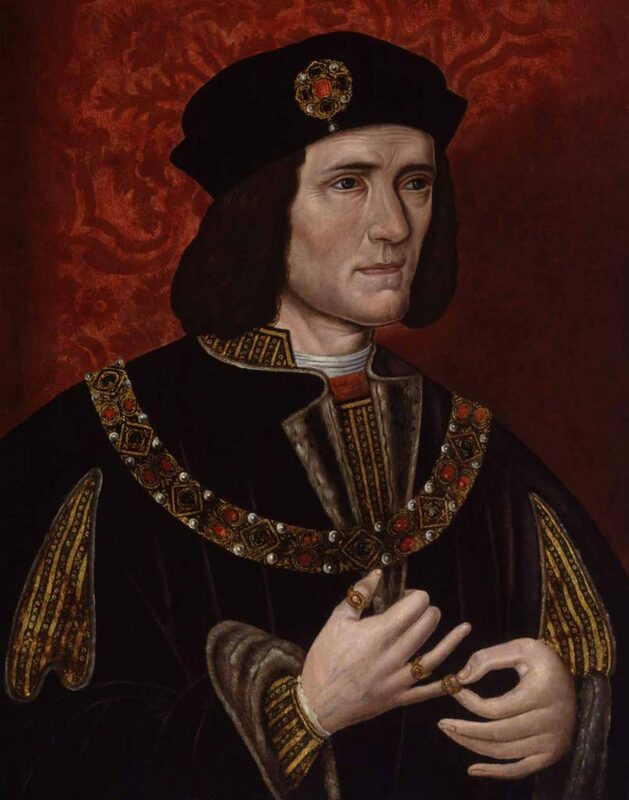 He also commissioned an unknown artist – who later became known as the ‘Sheldon Master’ – to produce a series of paintings of English monarchs and other prominent figures to hang in the long gallery at Weston Hall in Warwickshire. Ralph’s in-laws, the Throckmortons, were a prominent and wealthy Warwickshire catholic family who enjoyed privileged access to the great and the good of the day through family connections to Ambrose Dudley, later Earl of Warwick, and his brother Robert Dudley, Earl of Leicester and a great favourite of Queen Elizabeth. However, the Throckmorton family dramatically fell from grace in 1583 when they become embroiled in what became to be known as the Throckmorton Plot, a conspiracy to assassinate Elizabeth and replace her with her catholic cousin, Mary Queen of Scots. Years later, family members were also be implicated in the notorious Gunpowder Plot of 1605 to blow up the Houses of Parliament, alongside members of the Catesby family, also close friends and near neighbours of Ralph and Anne. Ralph, by nature a gentle and unassuming man, throughout the reign of Elizabeth I fell easy prey to those who cast envious and greedy eyes on the immense fortune at his disposal. Unlike his father, who always studiously avoided any great commitment to either of the competing faiths, Ralph seems to have allowed himself to be influenced in his adherence to catholicism by his wife and her devout family. Barnard tells us: “Sheldon had married into a family always deeply attached to the Old Faith, and there is no doubt that whatever his views may have been in his earlier years, or however much he may then have been influenced by his father, he himself became gradually devoted to it as time went on. Barnard added: “There was more than one mysterious Sheldon thus placed, and on 16 February, 1570, Sir Thoma Gargrave writes to Sir William Cecil, who in that year had organised a secret service to detect plots against Queen Elizabeth, that he hears from Edinburgh that ‘Sheldon, Somerville, and agents of the Queen of Scots run between her and Scotland and do great hurt, and that these two are now here, and shortly to return. I have sent to Rotherham, Dor and Ferry bridge, and other places to lay wait for take them’. Indeed, it was around the year 1580 that Ralph commissioned the Sheldon Chapel to be built in the parish church at Beoley, where he hoped he and his family could continue their devotions to the catholic faith away from the prying eyes of other parishioners. The chapel survives to this day, complete with a number of fine, elaborate tombs dedicated to his parents and other close relatives. We will see in due course how these draconian powers would be increasingly influential in the destiny of Ralph’s children and grandchildren, who in their time increasingly found themselves at odds with the state machine. Despite all their trials and tribulations, Ralph, with the help of his wife Anne, created a somewhat different but no less substantial family legacy to his father in the form of the 130 descendants he was said to have been survived by at his death in 1613. In all, he had fathered 11 children, with all but one surviving to adulthood.